Oomph! 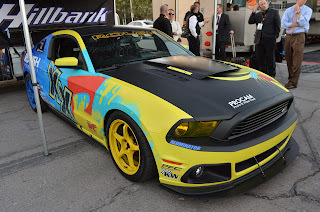 Labs has announced a complete Hose Candy Ford Mustang Kit (Part No. 80001A) that is designed to improve the look of 1965-69 Mustang engines and includes performance solutions for radiator, heater, brake booster, vacuum and windshield washer hoses. The Mustang kit features Hose Candy Hose Skins with Skinposite Carbon Fiber and Kevlar technology, which are designed to create the ultimate bullet-proof protection for radiator and other hoses. Simply installing Hose Skins over the existing hoses delivers improved protection and a high-tech appearance. Hose Skins are available in a combination of colors, including Red/Black, Green/Black, Orange/Black, Blue/Black and Carbon Fiber Black. In addition, the kit includes leak-proof BOA Clamps – which heat shrink to conform to any shape and never need to be tightened – to eliminate less attractive, inefficient metal clamps. Oomph! Labs Mustang kit also comes with Hose Candy Sidewinders, which turn connections into quick couplers and allow users to connect and disconnect parts like carburetors in seconds. Sidewinder couplers help prevent damage to hoses, components and knuckles when attempting to pry off old, unyielding hoses. The Sidewinder CNC couplers come in a variety of colors to match the vehicle design. Also included are high temperature silicone hoses, a bottle of Liquid Clamp and Hose Candy Super Heat Shrink wraps for a complete, all-in-one kit. 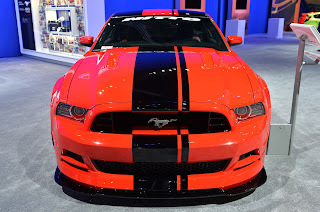 This entry was written by by MustangsDaily (Mustangs Daily) and posted here on Wednesday, July 25th, 2012 at 2:38 pm and is filed under hose candy, hose candy ford mustang, New Products. This article was not written by us, rather gathered using RSS feeds listed here. We take no credit for this article. You can leave a response, or trackback from your own site.